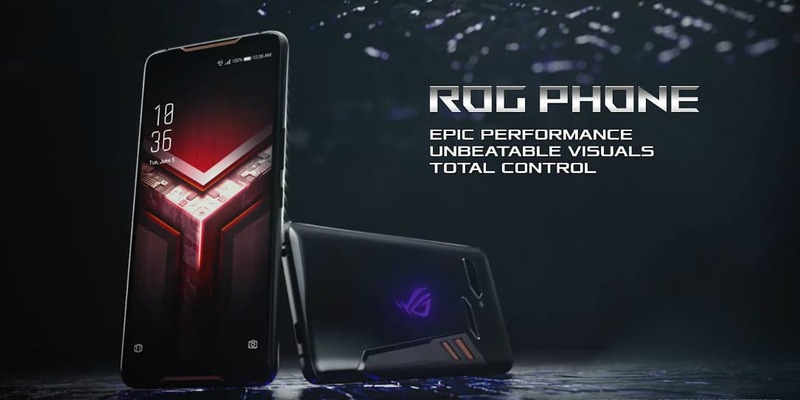 ASUS is going after Razer with the new ASUS Republic of Gamers (ROG) phone. If you’re not familiar with the Republic of Gamers (ROG) brand, it’s ASUS’ line of gaming PCs. The lineup was launched in 2006 with the intent to bring dedicated gaming hardware to a core audience. ASUS has just taken the wraps off a new Republic of Gamers hardware piece, a smartphone. That’s right. ASUS is going after Razer with the new ASUS ROG phone. Like the Razer Phone, the ROG phone has a 90Hz display which delivers a screen refresh rate of 90-times per second. There’s also a bunch of other accessories from docks to gamepads planned for the ROG phone. The Republic of Gamers phone is going to be rocking the 2.96GHz Qualcomm Snapdragon 845 with 8GB of RAM. If that’s not enough an option for 512GB of storage is pretty insane for a handheld device. To activate the maximum performance of its speed-binned chips, Asus lets you switch into “X Mode” by squeezing the sides of the phone. The squeeze works exactly as it does in HTC’s Edge Sense system, with a red glow showing up at the sides where you apply pressure. Once you give it a strong squeeze, the phone’s entire UI skin transforms from a cool blue to a deep and ominous red. X Mode is more than mere cosmetics, though, as it automatically optimizes performance for gaming by shutting down background processes and prioritizing whatever you’re playing for both RAM allocation and data transfer precedence. X Mode also controls the AeroActive Cooler, which is what Asus calls the additional fan accessory it offers for this phone. Asus goes an extra step with its phone-edge interactions by giving players two so-called AirTriggers, residing in the spots of the usual shoulder buttons on game controllers. These are user-programmable and should help keep the screen clear of controls while gaming. What do you think of the ASUS Republic of Gamers smartphone? Let us know in the comments below or on Google+, Twitter, or Facebook.